Tricia D. Olsen is an Assistant Professor in the Department of Business Ethics and Legal Studies at the University of Denver's Daniels College of Business. Trained as a comparative political scientist, Olsen studies and teaches about the political economy of development, with a focus on business ethics, human rights, and sustainability in emerging and developing countries. Her current research focuses on the differences in microfinance across countries, utilizing qualitative and quantitative data to explain why states pursue varying pathways to the regulation and promotion of microfinance, with a focus on Brazil, Mexico, and India. 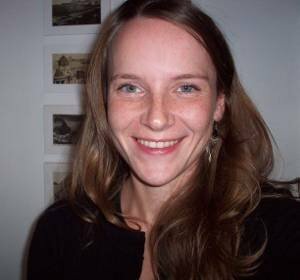 Olsen is also involved in a collaborative project that explores the determinants, and effect, of transitional justice mechanisms. Olsen has received support from Fulbright-Hays, NSF-AHCR, United States Institute of Peace, and Zennstrom Philanthropies, among others. 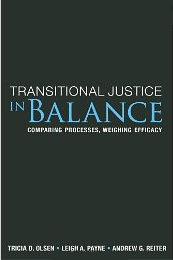 In addition to her co-authored book, Transitional Justice in Balance: Comparing Processes, Weighing Efficacy, additional published work can be found in numerous outlets, including Human Rights Quarterly, Journal of Peace Research, and Taiwan Journal of Democracy. Professor Olsen received her M.A. and Ph.D. in Political Science from the University of Wisconsin-Madison. Thesis: "Women in an Age of Globalization: The Brazilian Informal Economy"
Olsen, Tricia D., Leigh A. Payne and Andrew G. Reiter. 2010. Transitional Justice in Balance: Comparing Processes, Weighing Efficacy. Washington, DC: United States Institute of Peace Press. Olsen, Tricia D. 2010. “New Actors in Microfinance Lending: The Role of Regulation and Competition in Latin America.” Perspectives on Global Development and Technology 9: 3-4. Olsen, Tricia D., Leigh A. Payne and Andrew G. Reiter. 2010. “Transitional Justice in the World, 1970-2007: Insights from a New Dataset.” Journal of Peace Research 47(6): 803-809. Olsen, Tricia D., Leigh A. Payne and Andrew G. Reiter. 2010. “At What Cost? A Political Economy Approach to Transitional Justice.” Taiwan Journal of Democracy 6(1): 165-84. Olsen, Tricia D., Leigh A. Payne and Andrew G. Reiter. 2010. “The Justice Balance: When Transitional Justice Improves Human Rights and Democracy.” Human Rights Quarterly 32(4): 980-1005. Olsen, Tricia D., Leigh A. Payne, Andrew G. Reiter and Eric Wiebelhaus-Brahm. 2010. “When Truth Commissions Improve Human Rights.” International Journal of Transitional Justice 4(3): 457-476. Olsen, Tricia D., Leigh A. Payne and Andrew G. Reiter. 2010. “Equilibrando Julgamentos e Anistias na América Latina: Perspectivas Comparativa e Teórica.” Revista Anistia Política e Justiça de Transição (Journal of Political Amnesty and Transitional Justice) 2: 152-75 [Brazil]. Olsen, Tricia D., Leigh A. Payne and Andrew G. Reiter. 2009. “Does Transitional Justice Work? Latin America in Comparative Perspective.” Global Studies Review: Special Issue on Accountability after Mass Atrocity 5:3. Olsen, Tricia D. 2009. “Staying to the Right: Insights into Ideology and Presidential Support in Colombia.” Comunicación y Ciudadanía (Communication and Citizenship) 1: 18-29 [Colombia]. Hale, Matthew, Tricia D. Olsen and Erika F. Fowler. 2009. “A Matter of Language or Culture: Coverage of the 2004 U.S. Elections on Spanish- and English-Language Television.” Mass Communication & Society 12(1): 26-51. Fowler, Erika F., Matthew Hale and Tricia D. Olsen. 2009. “Spanish- and English-Language Local Television Coverage of Politics and the Tendency to Cater to Latino Audiences.” International Journal of Press/Politics 14(2): 232-56. Magaldi de Sousa, Mariana and Tricia D. Olsen. [forthcoming] “Financial Policy” (Política Fiscal). In El Desafío del Desarrollo con Equidad: Una Comparación de las Estrategias de Desarrollo de México y Brasil (The Challenge of Development with Equity: A Comparison of the Development Strategies of Mexico and Brazil). Editorial NORMA. Olsen, Tricia D., Leigh A. Payne and Andrew G. Reiter. 2012. “Amnesty in an Age of Accountability: Brazil in Comparative Context.” In Real Social Science: Applied Phronesis, eds. Bent Flyvbjerg, Todd Landman, and Sanford Schram. New York: Cambridge University Press. Olsen, Tricia D., Leigh A. Payne and Andrew G. Reiter. 2012. “Conclusion: Amnesty in the Age of Accountability.” In Amnesty in the Age of Human Rights Accountability: Comparative and International Perspectives, eds. Leigh A. Payne and Francesca Lessa. New York: Cambridge University Press. Olsen, Tricia D., Leigh A. Payne and Andrew G. Reiter. 2012. “An Exploratory Analysis of Civil Society and Transitional Justice.” In Assessing and Strengthening Civil Society Worldwide, eds. Wolfgang Dorner and Regina List. CIVICUS. Olsen, Tricia D., Leigh A. Payne and Andrew G. Reiter. 2011. “As Implicações Políticas dos Processos de Anistia.” In A Anistia na Era da Responsabilização: O Brasil em Perspectiva Internacional e Comparada (Amnesty in an Era of Accountability: Brazil in International and Comparative Perspective), eds. Leigh A. Payne, Paulo Abro, and Marcelo D. Torelly. Brasília, Brazil: Ministério da Justiça da República federativa do Brasil. Hale, Matthew, Tricia D. Olsen and Erika F. Fowler. 2008. “Hablando Política: How Spanish-Language Television News Covered the 2004 Elections.” In The Mass Media and Latino Politics, ed. Federico Subervi-Vélez. New York: Routledge Press. The provision of small loans to low-income individuals—microfinance—has gained recent attention from both domestic and international actors because of the widespread belief in its ability to improve development outcomes. Yet, there is broad variation in approaches to microfinance—specifically microfinance regulation—across developing countries. I argue that a missing component of extant explanations for regulatory outcomes is the role that non-state domestic actors (associations of microfinance providers) play, particularly their ability to organize, gain access to the state, and serve as an “entry point” for international actors. Given assumptions in the collective action, interest group, and social movement literatures, this project also highlights surprising and novel ways in which domestic actors organize and engage with the state and international actors to affect policy outcomes. I develop these arguments using a combination of quantitative and qualitative methods. To test the hypotheses in the existing literatures, I constructed an original dataset of microfinance regulations in 125 developing economies. A series of hazard models and qualitative data gathered during twelve months of fieldwork in Brazil and Mexico illustrate the processes by which domestic actors organize and how they check state power. In doing so, this research answers fundamental questions about the political economy of policy adoption in general, and financial policy adoption in particular. Olsen, Tricia D. 2011. “When the Market Meets the State: Microfinance Regulation in Emerging Economies.” Ph.D. Dissertation, University of Wisconsin - Madison. Olsen, Tricia D. 2010. “New Actors in Microfinance Lending: The Role of Regulation and Competition in Latin America.” Perspectives on Global Development and Technology 9:3-4. Transitional justice mechanisms—particularly trials, truth commissions, and amnesties—designed to resolve past authoritarian state violence, have proliferated around the world. In collaboration with Professor Leigh Payne and Andrew Reiter, the Transitional Justice Data Base systematically and statistically tests assumptions in the literature that such mechanisms strengthen democracy and deter human rights violations. Olsen, Tricia D., Leigh A. Payne and Andrew G. Reiter. 2010. “At What Cost? A Political Economy Approach to Transitional Justice.” Taiwan Journal of Democracy 6:1. During my first years of graduate school, I worked at the University of Wisconsin's NewsLab. Most Americans (and an even higher percentage of Latinos in the U.S.) get the majority of their information from television and local news in particular. Yet there have been few systematic studies of the content and effectiveness of local television news. I served as the Project and Grants Director at the University of Wisconsin's NewsLab from 2005-2007. I supervised over fifty undergraduate students to compile the NewsLab's most comprehensive dataset and archive in Spanish- and English-language news in the Midwest, the Midwest News Index. Olsen, Tricia D. 2009. “Staying to the Right: Insights into Ideology and Presidential Support in Colombia.” Comunicación y Ciudadanía (Communication and Citizenship) [Colombia].